Oracle CEO Mark Hurd Says His Customers Will Move to the Cloud. 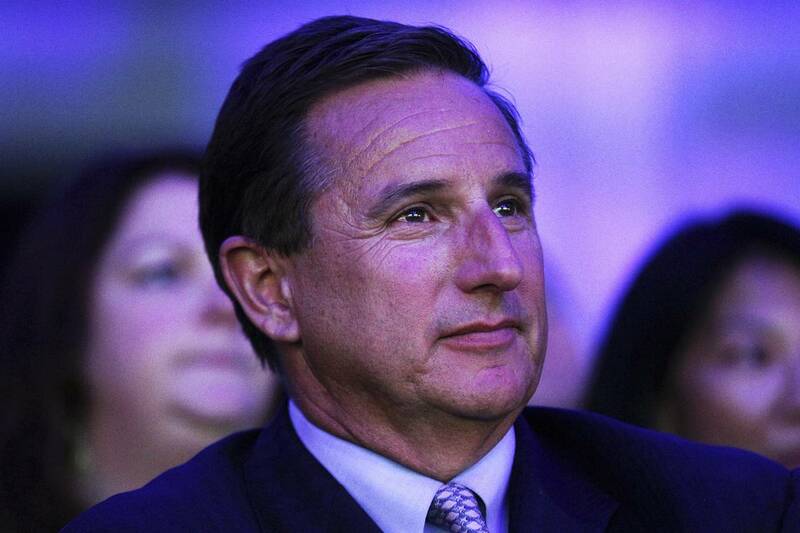 Home Oracle Oracle CEO Mark Hurd Says His Customers Will Move to the Cloud. Eventually. Oracle CEO Mark Hurd Says His Customers Will Move to the Cloud. Eventually. Oracle CEO Mark Hurd- It has become fashionable to dismiss Oracle (ORCL) as a dinosaur in the cloud wars—a legacy company hopelessly behind upstart Amazon (AMZN) and long-time nemesis Microsoft (MSFT) in technology and customer wins. That was underscored this week, when both companies announced record cloud revenue. Oracle co-Chief Executive Mark Hurd views it as a marathon, one in which Oracle customers are slowly migrating to the cloud. “This is not a switch flip,” Hurd told Barron’s in San Francisco on Wednesday. “This will take months, quarters, years, to ripple through” Oracle’s business. Hurd thinks Oracle just gave customers a compelling reason to make the switch. This week at its annual developers conference, Oracle announced enhanced security to its cloud technology that includes “autonomous robots” that “find and kill” malicious attacks from bot-equipped hackers, he said. He believes it’s a game-changer—less than 1% of all Oracle databases are encrypted—in a tech marketplace dominated by news of security snafus atFacebook (FB), Alphabet ’s Google (GOOGL), and elsewhere. Still, despite a rally that briefly lifted shares this summer, Oracle stock has slumped amid questions about its cloud business. Oracle stock is down 9% since Oct. 1. Oracle reported $6.61 billion in fiscal first-quarter revenue for cloud services and license support in September, which fell short of analysts’ estimates of $6.68 billion. Oracle also came up shy in overall revenue, at $9.19 billion, missing the $9.24 billion forecast by analysts polled by FactSet. The company has missed revenue estimates seven of the past 13 quarters. Deepening concerns, the putative head of Oracle’s cloud product strategy, Thomas Kurian, said he isn’t coming back after the company initially said in early September that he was taking “extended time off” from the company. Kurian reportedly clashed with Oracle co-founder, Chairman and Chief Technology Officer Larry Ellison over cloud strategy. Oracle declined to comment on Kurian’s departure. Adding to the tension, Ellison has boasted at previous OracleWorlds that Oracle was coming after the juggernaut Amazon Web Services, as Oracle shifts from a traditional model of licensing and maintenance to subscription-based cloud computing. In February, Oracle said it would quadruple its number of giant data-center complexes over the next two years. But the case has been just the opposite the past few years, based on market share of the $38.8 billion worldwide market for DBMS, defined as business software for data management deployed onsite or in the computing cloud. While Oracle remains the market leader, its market share eroded to 37% in 2017 from 43.6% in 2013, according to numbers compiled by market researcher Gartner. Amazon’s slice, meanwhile, has rocketed to 9.3% from 0.9% in the same time frame, and Microsoft’s has improved to 21.7% from 18%.